The Fourth Industrial Revolution will have an immense impact on how humans communicate with each other- for better and for worse. Conflict resolution professionals should reevaluate their theories and practices to address new challenges through the convergence of the physical, digital and biological dimensions. Despite its failure, this attempt signifies a major development of a new industrial revolution: conflicts that take place on a digital dimension and growing human-machine interaction. The “Fourth Industrial Revolution”– a term coined by the World Economic Forum refers to an era that “is characterized by a fusion of technologies that is blurring the lines between the physical, digital, and biological sphere”. Indeed, technological advancements have reached a point where they have enormous impact on political, economic and social systems. Simply think of how the mobile devices we use to chat over social media apps influence and shape our perceptions and consequently our behaviors. A new technological era requires a reevaluation of traditional disciplines, especially those that are directly influenced such as international conflict resolution. Classic frameworks of international conflict resolution consist of three levels: state-state, professionals-key stakeholders and people-people. State-state negotiations will be most influenced by the way decision makers understand, believe and can manipulate technology to negotiate their interests. The professional-key stakeholder level allows for more flexibility, as non-state actors can take advantage of technology as a platform to perform the process, other technologies to help in technical problem solving and also create new products. An example would be applications such as “Slack” which are optimal for conduct of task oriented processes that can complement face to face meetings. Similarly, technology holds many opportunities that can revolutionize people-people dialogue. As detailed in this article, performing online dialogue on a social media platform can assist in managing common challenges such as power imbalance, continuity, scalable impact and evaluation. When used under controlled, professionally facilitated processes, technology does hold some advantages for the conduct of conflict resolution processes. However, the introduction of Big Data poses a much bigger and dangerous dimension for conflicts. The easiness in access, creation and exposure of information has already demonstrated its devastating impact with the spread of online violence, online bullying etc;. Other phenomena such as “fake news” and “alternative facts” represent political attempts to manipulate the void created in this uncontrolled dimension of human interaction. Since classic conflict resolution did not know of Big Data, it is essential to recognize it and develop theories, methodologies and practices that can counter its potentially harmful nature. As it is impossible to completely monitor and control Big Data, possible solutions should take into consideration the same characteristics of the Fourth Industrial Revolution and utilize the biological, physical and digital dimensions. Sample strategies could include: conflict resolution training to developers, engineers and programmers that will enable them to understand and later embed basics concepts in their products. The design user experience (UX) should include conflict resolution principles such as cultural awareness, empathy and understanding different perspectives. Lastly, Artificial Intelligence (AI) – the big game changer, has the capacity to monitor and interact with online hate and violence. Google recently exposed its AI solution – Perspective to improve online conversations. While it still has some flaws and does not interact with users, Perspective is the first tool that makes use of artificial intelligence for conflict resolution, many will follow. 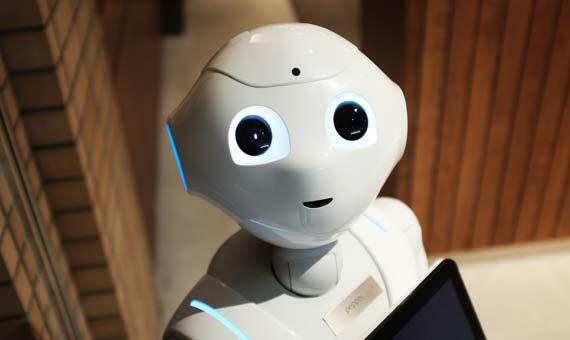 A future tool, or “bot” could be an updated version of “Tay” that will interact with humans and instead of them teaching her to be racist, she will open humans to new perspectives and ideas. Perhaps it is time for robots to teach humans how to manage and resolve conflicts.